South Africa 309 and 351 (Hashim Amla 121, AB de Villiers 43, Steven Finn 4-74) beat England 315 and 294 (Matt Prior 73, Jonathan Trott 63, Vernon Philander 5-30) by 51 runs. A combined team effort well led by the skipper, Graeme Smith, took South Africa to the peaks of Test cricket while beating England and clinching the No.1 spot. South Africa smashed 309 in their first innings followed by 351 in the second while England fought well by scoring 315 and 294 but lost the interesting encounter by 51 runs. 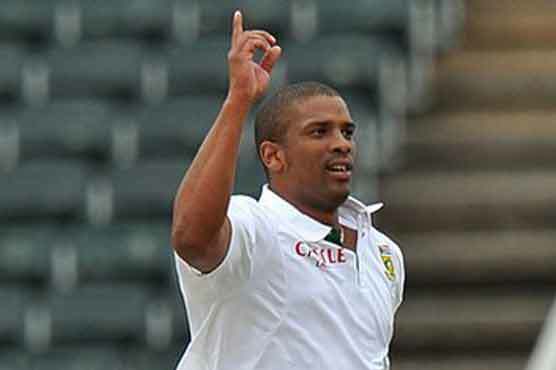 Vernon Philander (South Africa) was declared ‘Player of the match’ for his all round performance as he grabbed seven decisive wickets and scored 96 runs in the match. 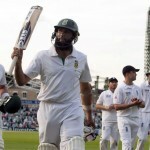 Hashim Amla (South Africa) and Matt Prior (England) were declared ‘Players of the series’. The third and final Test of the series came to an end on August 20, 2012, at Lord’s London. Earlier, England went into the final day of the game at 2-16 in 13 overs and a lot of fight was required from their remaining batsmen to win the Test. Jonathan Trott and Ian Bell started the day at 6 and 4 runs respectively whereas Vernon Philander and Morne Morkel initiated the bowling spell for the Proteas. Trott opened up with a four in the 17th over and added another in the next over. England faced the first casualty when Bell was caught in the first slip by Graeme Smith off Philander without adding any run to his overnight score. The third wicket fell at 34 as the youngster, James Taylor, came in next but departed back to the pavilion at his personal score of four when the scoreboard displayed 45 runs. Trott kept wondering at the other end as the wickets were sliding at regular intervals when Jonny Bairstow joined with him in the centre. Trott secured two fours in the 29th over and Bairstow preferred to attack and dispatched six boundaries in the next four overs. The first hundred of the innings was attained in the 36th over as Jonathan Trott scored his 12th Test fifty three overs later. Bairstow achieved his second Test fifty in the 42nd over but was clean bowled by Imran Tahir for 54 on the last ball of the next over. The fifth wicket associated 89 runs and fell at 134 when Matt Prior took guards in the centre as Jonathan Trott was gone for 63 in the 52nd over. Matt Prior and Stuart Broad did not surrender and kept the chase on, as the latter added a quick fired 37 runs off 42 balls with one six and a couple of fours. 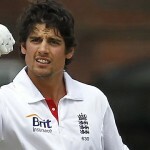 England lost their seventh wicket at 208 as Graeme Swann appeared on the scene and Prior kept his end firm. The duo accumulated 15 runs in the 75th over with 1 six and 2 fours and Swann punished Jacques Kallis for 10 runs in the next over with one six and one four. The home side was marching well towards the target and the score was enhanced to 282 runs when Graeme Swann was unluckily run out for 41 runs and opened the gates for the tourists. Prior tried to force the pace but the second new ball became lethal for him and he was the ninth victim at 294 at his personal feat of 73 runs and the entire English side was bowled out for 294 runs in 82.5 overs. Vernon Philander was the deadliest bowler and claimed five wickets whereas Dale Steyn, Jacques Kallis and Imran Tahir claimed one wicket each. The Proteas won the thrilling encounter with a margin of 51 runs and humiliated England by winning the three Test series 2-0. South Africa has earned 3002 points in 25 games and became the ruler in the longest version of the game by grasping the rating of 120 whereas England goes down one step with 117 and 4195 points after playing 36 matches.